Product categories of Automatic Blister Forming Machine, we are specialized manufacturers from China, Automatic Blister Forming Machine, Plastic Blister Packaging Forming Machine suppliers/factory, wholesale high-quality products of Automatic Vacuum Blister Forming Machine R & D and manufacturing, we have the perfect after-sales service and technical support. Look forward to your cooperation! 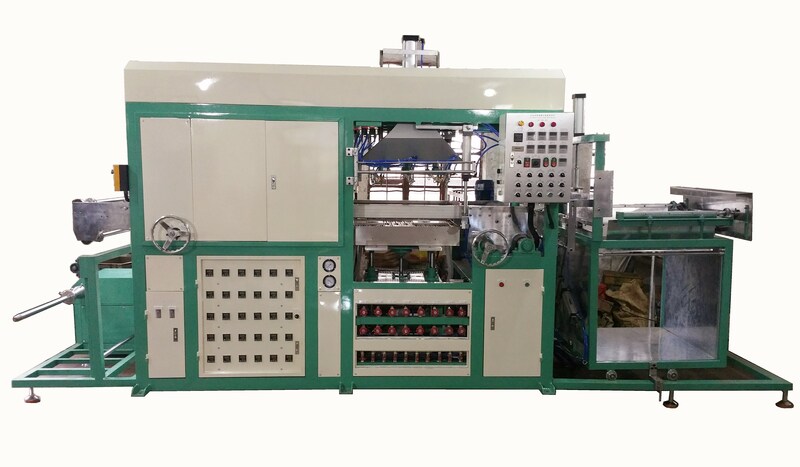 This machine is adapted for PVC, PP, PET, PEGT, OPP, POF, PS, ABS etc, it can transform plastic sheets into various plastic blisters. These blisters are widely used in hardware, stationery, commodity, electronic products, health products, disposable cups etc. It is a fully automatic, can work 24 hours continuously, mainly used in blister mass production.